Community of Peace Academy’s Preschool 4 Peace, Elementary School, Middle School and High School are co-located in a common school facility that occupies an entire city block in a residential neighborhood on the East Side of St. Paul. 1997: the first addition gave the school a Music Room, Library/Media Center, Computer Lab and designated Kindergarten wing. 2002: The High School was added, which include a beautiful new Art room, a state of the art Science laboratory, and a second computer lab. 2008: Construction of the regulation sized gymnasium and auditorium was completed. 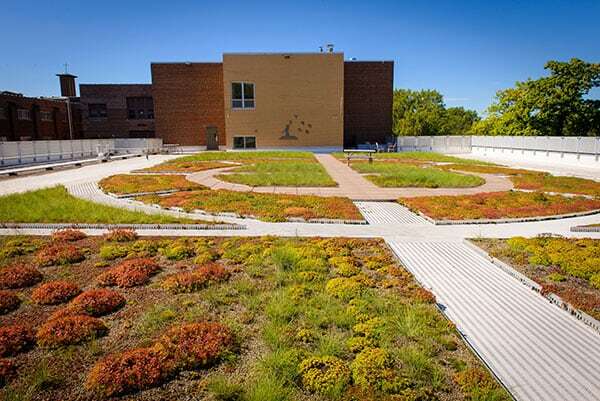 The Rusthoven Gynmasium and Auditorium, named after CPA’s founder, Dr. Karen Rusthoven, includes a roof garden, the first “green roof” completed in the City of St. Paul, and the first in Minnesota on a public school building. 2017: A new playground was designed and built, with the support of the organization KaBOOM! The project was funded by Target and was made possible with the help of over 200 volunteers. The new playground includes an adjacent workout space, and is paired with a field for large group games and activities. 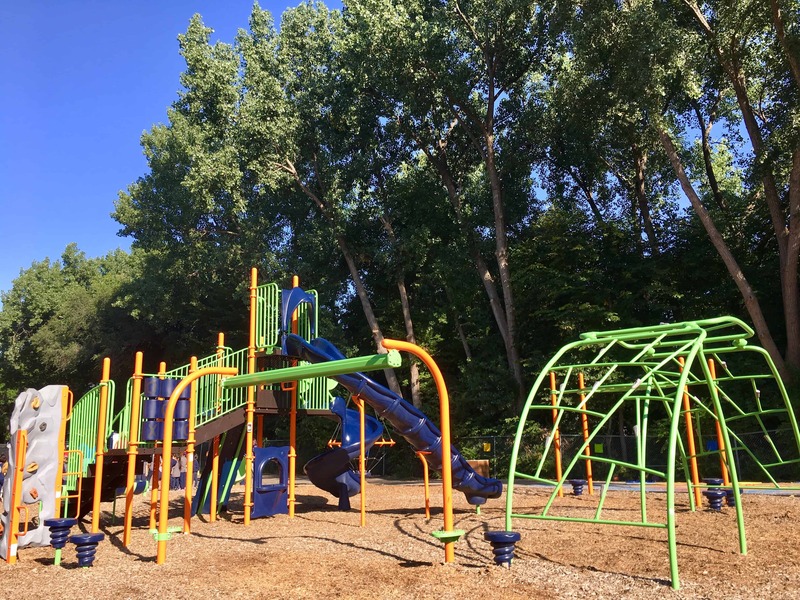 These facilities, along with a dedicated preschool playground, afford students outdoor space for physical activity and movement. 50,163 plants are planted on the roof.